7/03/2019 - John Dalton is the proud owner of this magnificent Ford Raptor Performance Utility. This is a very impressive ute and we are sure John is going to love it for years to come. 23/11/2018 - Chris and Angie Charlwood are about to embark on enjoying the fruits of their hard work. Congratulations on purchasing the magnificent Ford Mustang GT, from the Huston Ford team. Great car nice people. 16/11/2018 - Andrew Nichols took delivery of a magnificent blue Ford Raptor this morning. Congratulations Andrew. Fantastic car. 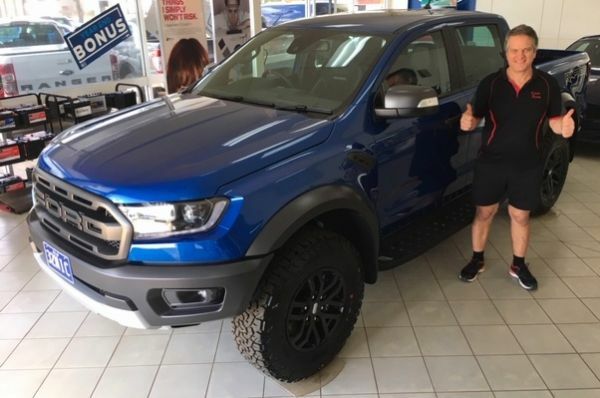 1/11/2018 - Tim From McIntosh Distribution in Dalby took delivery of their new Ford Ranger XLT. Having owned Ford Rangers previously they understand how good they are. Congratulations to You Tim and The McIntosh Group. 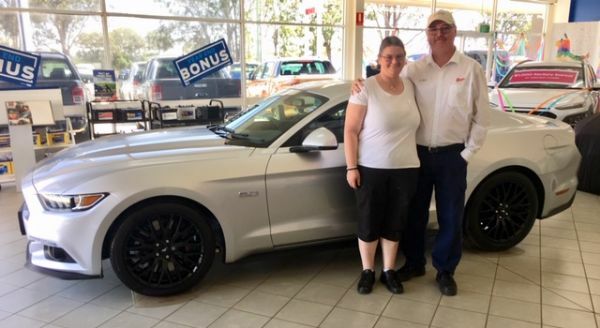 1/11/2018 - Ross & Gail Collins have just purchased their very first "New" car. congratulations to you both. Enjoy the Ford Escape Trend. a great car. 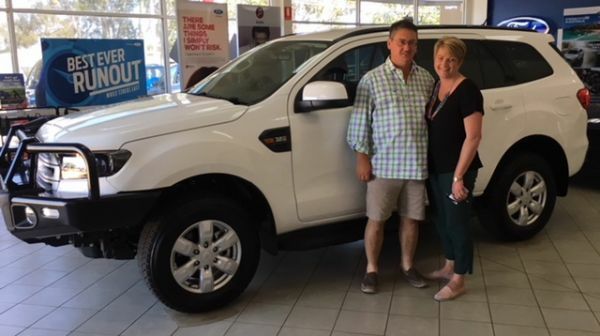 17/10/2018 - Frank and Ruth Howard have remained in the Ford family after trading their trusty Ford Territory in for a Ford Ranger XLT High Rider. Congratulations Frank & Ruth. 2/10/2018 - Harry and Marleen Cislowski liked the Ford Ranger XLT so much, they bought another one. Congratulations to you both. Thank you. 13/09/2018 - Chinchilla identities, Brian and Michelle Bender called in this morning and picked up their new Ford Everest Ambiente. Congratulations on your purchase from the team at Huston Ford.